Liquid Diet for Weight Loss - Which Type Is Best to Lose Weight? Liquid Diet For Weight Loss – Can You Rely Only On Liquids To Lose Weight? A liquid diet for weight loss! Isn’t it pretty much evident from the name that the diet does not let you consume any solid foods or eatables? Well, there is so much more to know apart from this simple fact that the diet only allows your body to take nutrients and calories in the form of liquids! The question of the reliability and the efficacy of this diet plan is quite obscure because this liquid diet plan for weight loss may not work the same for everybody. But I can assure you a perfect weight loss if you choose to follow the diet plan once in a week (not every other day) so that you act easy on your body and not hurt yourself or deplete your body of essential nutrients in a vague attempt to lose weight. Why Prefer Liquid Diet Foods? Which Is The Best Liquid Diet To Lose Weight Fast? How To Utilize Meal Replacement As The Liquid Diet For Weight Loss? The basic idea of a liquid diet plan is to restrict and reduce the calorie intake because as opposed to solids, liquids make you consume relatively more calories but don’t worry! It is something that we all as foodies do! Liquids included in the liquid diet menu are going to fill your tummy and keep you up for longer periods and at the same time give you the required calories (not more, not less) which make us rank them in the first place for weight loss when compared to solid foods. It is quite interesting to know that not all liquid diet plans are meant to serve the same purpose. Here is a clear distinction between the three basic types of liquid diet plans to let you know which among these works the best as liquid diet plan for weight loss. All the foods that you consume are going to be in the form of vegetable soups, fresh smoothies, health syrups or nutritious soups. Let us find out which among these types is a suitable liquid diet for weight loss. You can guess from the name that the diet plan is a replacement for the meals, which means that you are going to acquire all the essential (micro and macro) nutrients through the liquids but what makes this plan the best liquid diet to lose weight fast? It is the intake of calories that is going to decrease to a large extent which makes it an easy process for weight loss. So, basically you are just replacing your regular solid meals with the liquids that provide you with good nutrients (carbohydrates, proteins, fats, vitamins and minerals) but less calories. You can buy meal replacements from various companies that sell this type of liquid diets and rely on these liquid diets twice in a week to achieve a gradual weight loss. It is always best to consult a nutritionist before you directly opt for a liquid diet for weight loss because the calories that you are going to gain through a one day meal replacement diet plan is somewhere between 500 to 1500 calories. You may get drained out of your energy levels with such a low calorie consumption which is why you must consider your doctor’s advice before opting for this type of liquid diet for weight loss. Don’t you agree with me when I say that liquids help in a faster detoxification of your body when compared to the solid and eatable forms of foods? With a several glasses of liquid intake, the impurities are quick to disappear from your cells. Detox liquid diets serve this exact purpose of cleansing your entire internal system and bring a sense of refreshment and liveliness to your living system. With all the fast foods and junk that you fill your body, following a detox diet liquid plan is the most superficial way to cleanse your body off all the toxic impurities. Does A Detox Liquid Diet Plan Help In Weight Loss? 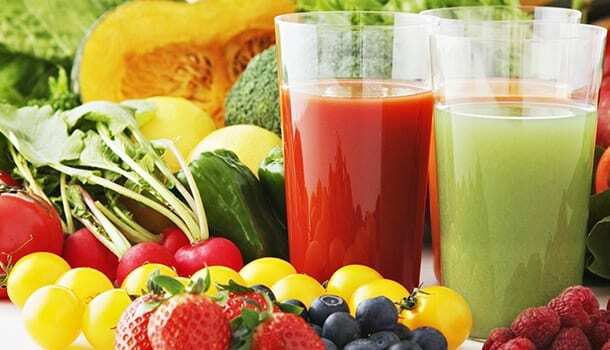 Detox liquid diets may contain fresh fruit juices or the drinks that are made up of botanical ingredients(which means juices that are made out of any part of herbal plant such as leaves, herbs, fruits, seeds or flowers). Since these are meant only for the purpose of cleansing and detoxifying your body, they do not contain any nutritional value as that of a meal replacement diet plan. So, it is not much recommended for you to rely on a detox liquid diet for weight loss. However, you can make the best use of these diet plans once in a week to keep your internal system healthy and clean from time to time. A long term water fasting and a master cleanse are the two major types of a detox liquid diet plan. if you have been looking for various ways to get rid of your digestive problems, you can make use of this type of liquid diet plan to keep your gut clean and robust. A medical liquid diet plan is recommended to those who have undergone surgeries and are trying to get back to their normal health. A medical liquid diet contains absolutely clean and clear potions. Liquids like fresh apple juice, green tea, soups and syrups are what you see in a medical liquid diet menu. It is surprising to also see popsicles (flavored ice attached to a small stick) in a medical liquid diet plan. 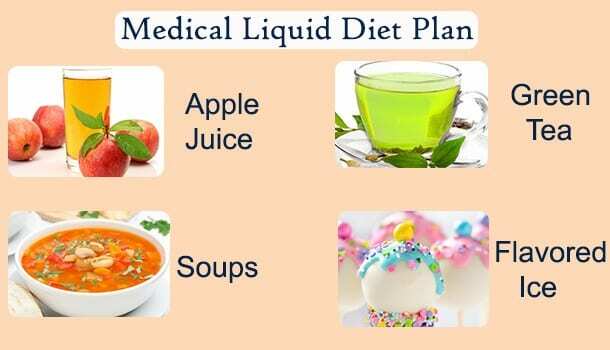 Does A Medical Liquid Diet Help In Weight Loss? A medical liquid diet plan can in no way help in a weight loss! Moreover, this type of a liquid diet(1) is to be followed under a strict supervision of a dietician or a doctor. You might have gained a clear understanding as of now about various types of liquid diet plans and also about the fact that not all liquid diet plans are meant for weight loss because each liquid diet plan has been prepared to serve its own individual purpose. For example, a medical liquid diet is to ease the digestive problems of patients who have undergone surgeries and detox liquid diets are to remove the junk from your cells, tissues and organs so that your cells are clean and healthy. A meal replacement diet plan is perfect way to go if you are looking for a healthy weight loss but why should you choose a meal replacement liquid diet for weight loss but not detox and medical diet plan? The overall wellbeing of our health revolves around three main nutritional aspects (carbohydrates, proteins, and fats) and for a successful weight loss, you will need a low calorie consumption. 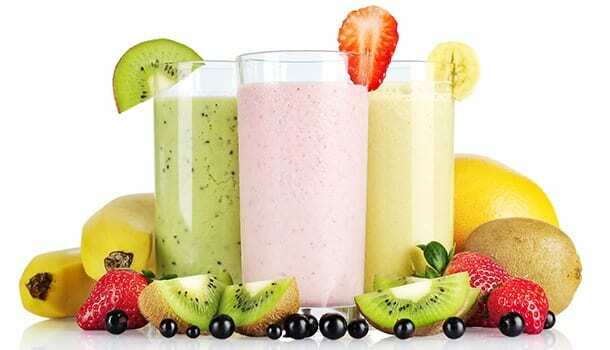 A meal replacement liquid diet for weight loss has been planned in such a way that it helps you fulfill all your nutritional needs by providing your body with right amounts of carbohydrates, proteins and fats as it contains all the essential micro and macro nutrients aiming at a significant cut down of calories. A detox diet plan or a medical diet plan has never been supplied with nutrients and moreover they are prepared to serve a completely different purpose altogether. Most of the people would suggest you go for a meal replacement diet continuously for a week! But, calories do not only imply fat! Your calorie intake manifests your energy levels and stamina. You may get sucked out of all your energy levels if you prohibit the intake of any solid food for such prolonged periods of time. So, here is how to do a liquid diet with a meal replacement liquid diet plan for weight loss. Below are two diet charts that have been prepared to make your weight loss attempts easy, but you can choose any one of the diet plans and maintain consistency in following them to acquire a successful weight loss within a few months. Plan -1 – Eat your routine foods (healthy foods that aid weight loss) for 5 days in a week but choose two days to completely stay away from solid foods and opt for a meal replacement. So you replace your breakfast, lunch and dinner with meal replacement liquid shakes twice in a week. Plan – 2 – Choose any three days in a week to follow this plan. You can eat regular foods for four days in a week and on the chosen three days, you can replace two phases of the day (breakfast and lunch, lunch and dinner or breakfast and dinner) with meal replacement shakes. If you are confused about how to do a liquid diet, here is a complete list of all liquid diet foods, liquid diet menu to show you the perfect, healthy and easy way to lose weight. If you are still confused on what to consume in the place of “meal replacement” that I have mentioned in the diet charts, don’t worry, here is what to include in the place of meal replacements. You can also include any liquids that are prepared with the below-mentioned liquid diets foods list as a part of your plan. It is always best to go with the meal replacements that various companies sell or the store bought meal replacements as these are enriched with all the essential micro and macro nutrients. However, if you wish to rely only on homemade liquid diet recipes, here are some easy to make recipe ideas to make your weight loss efforts(2) quick and easy. Add the freshly chopped spinach and kale leaves in the mixer and turn them into fine pieces. Add soy milk into this along with frozen banana and honey to turn the mixture into a smooth paste. 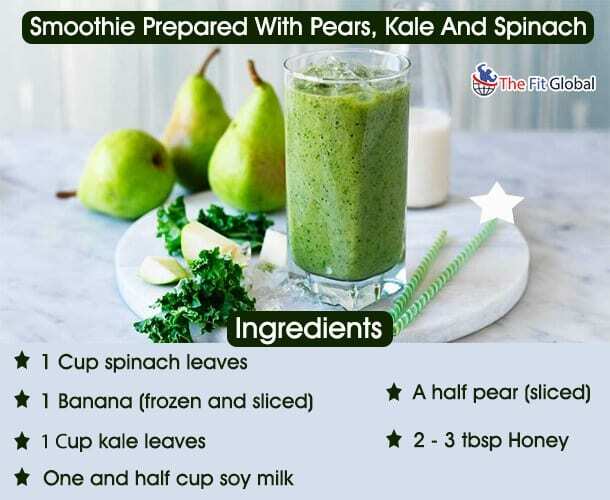 You can now add the sliced pear to this and give the mixture a final blend to obtain a nice, healthy and nutritious smoothie. Add almond milk, banana, berries, and peanut butter in a mixer and blend them until a smooth paste is formed. Add protein powder to this along with chia seeds, powdered walnut and add a dash of cinnamon to this. Blend all the ingredients together and prepare a fine smoothie. 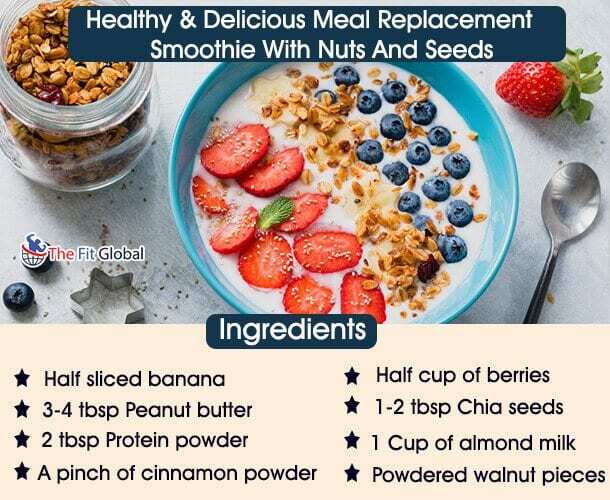 You can also add chia seeds and powdered walnut on the top of the smoothie if you like to relish a healthy drink with crunchy seeds on the top. Add half cup of oats, bananas, pomegranates and strawberries to the mixer and blend them well. 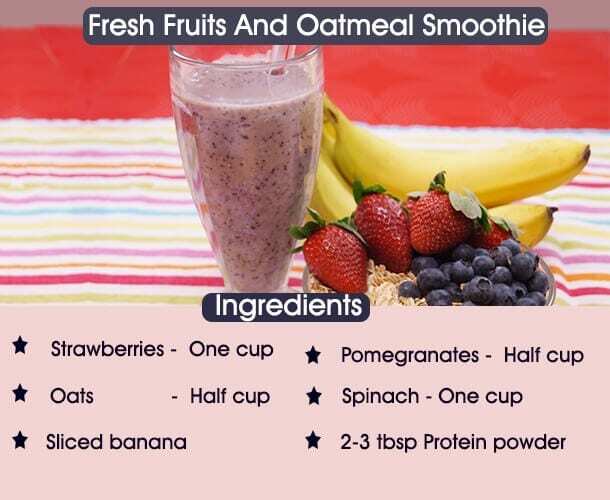 Add protein powder and spinach to this mixture and blend it again into a fine smoothie. You can add chia seeds or flax seeds to the top of the smoothie to relish the drink crunchy and healthy. There are three types of liquid diet plan (meal replacements, detox diet plan and medical diet plan) out of which only meal replacement can serve the exact purpose of weight loss. A regular meal replacement plan of liquid diet for weight loss may suggest you to rely only on the liquid diets every day until you acquire a weight loss but it may affect you in the long run since you may run out of your energy levels if you do not consume any solid foods. This article gives you the best use of meal replacement and two liquid diet plans for weight loss along with the ideas of the best homemade liquid diet recipes. Hope you give your best attempt to stick on to the plan and try your best to see your weight loss dream come true!